Beaming back from the future, be it the bar scene of the polymorphic Star Wars Cantina, or the bridge of the Starship Enterprise, the mission of the Prime Directive to avoid cultural conflicts with new populations is the same responsibility that exists today in navigating your brand, product or service in the maelstrom of the global Internet. The Web without protocols, be they cultural, technical, legal, financial or linguistic is a kind of pandemonium — harboring hate speech that alienates groups of people (Myanmar), allowing abuses of privacy and personal data (Facebook or Google), or interfering in national elections (Russia). In fields where the accuracy of interpretation is paramount, from life sciences to pharmaceuticals to software, finance, and more, localization is an act that not only accrues dividends in sales and marketing, but in corporate social responsibility as well. 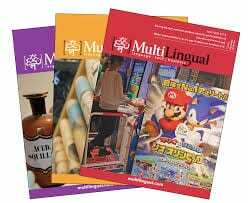 According to MultiLingual, the industry publication that co-founded and organizes Localization World in Seattle, in partnership with The Localization Institute, there are 7,000 languages worldwide. Only 2 of them represent 50% of the world’s speakers. When a language dies, ancestral knowledge is lost, cultures tend to disappear and humanity is impoverished. It is estimated that one language dies every two weeks. 74 percent of multinational enterprises believe it is either important or most important to achieve increased revenues from global operations. 65 percent of multinational enterprises believe localization is either important or very important for achieving higher company revenues. 95 percent of Chinese online consumers indicate greater comfort level with websites in their language. Speaking of going local, the Emerald City has played a pioneering role in this global movement. GALA, the Globalization & Localization Association, is headquartered here and has been instrumental in the launch of SLUG, the Seattle Localization User Group, that is comprised of over 600 localization and translation professionals from the area and meets quarterly. SLUG’s corporate members include Microsoft, Expedia, Facebook, UW and Amazon who participate both as speaker-presenters and as meeting hosts. 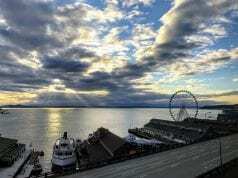 Seattle24x7: Strictly speaking, in any language, what is Localization? 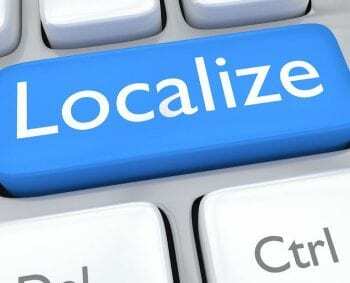 Allison Ferch (Executive Director, Globalization & Localization Association, GALA): Localization (also referred to as “l10n”) is the process of adapting a product or content to a specific locale or market. Translation is only one of several elements of the localization process. In addition to translation, the localization process may also include: adapting graphics to target markets, modifying content to suit the tastes and consumption habits of other markets, adapting design and layout to properly display translated text, converting to local requirements (such as currencies and units of measure), using proper local formats for dates, addresses, and phone numbers, addressing local regulations and legal requirements. Seattle24x7: How do you initiate the process of Localization in the digital era? What is the first step? Alessandra Binazzi, (Consultant): Submission of content for localization can happen manually, directly from other systems, or by automatic detection. A language provider can even provide a portal for submission and receipt of content. Content to be localized can then be stored in a variety of file formats depending on its end use. Printed materials, software development, website, mobile, social media are just some of the end use of content and each requires a different file format. A translation management system (TMS), whether internal or provided by the language provider, will typically handle most file formats and becomes the processor of source content so that the code is safeguarded in each translated version. Seattle24x7: How would you describe the Localization workflow? MultiLingual: Translations normally include multiple steps, (eg. translation and proofreading) each completed by a different resource. Resources can be in-house translators, freelancers or vendors or a combination of the three. When working exclusively with a Language Service Provider (LSP), they will cover many of the workflow steps. According to TechBase, Classical review workflow by stages is iterative. A translator translates a PO file (or updates existing translation), and declares it ready to review. A reviewer reviews it, and declares it ready to “commit.” Committing here should be understood generally as inclusion into the pool from which translations are periodically shipped to end users. A committer finally commits the file. The process is cyclical: the reviewer may return the file to the translator, and the translator later again declares it as ready for review. There may be several stages of review (such as proof-reading, approving), each of which may return the translation to a previous stage, or forward it to a special stage. Members of the translation team are assigned roles — such as translator, reviewer, approver, committer — by which they enter into the workflow (a single person can have more than one role). 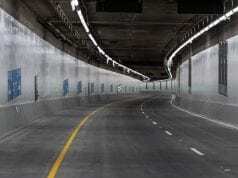 The later review stages must wait for the earlier stages to complete, and the translation cannot be updated again before the current version clears the pipeline (or the pipeline is aborted). Most importantly, once the translation is committed, it becomes part of “admitted” translations, with no further qualifiers. Seattle24x7: What are considered to be the essential tools of the trade? MultiLingual: Translators and editors use CAT tools (Computer Assisted Translation) to consult terminologies, possibly perform initial translations, and record translations in translation memories. The Translation Management System (TMS) is used for the project management aspect of localization. The number of files, varying languages, translators and project stakeholders can become overwhelming to any project manager. A TMS helps you to manage your jobs, different vendors but most importantly it lets you apply different workflows. A Term Base is a glossary created for specific branding and language purposes. It ensures that the appropriate words are used in each of the translations of specific terms. These databases can be saved in a universal TBX format, but CSV and XLS files are also readable by many tools. QA Tools cover terminology, numbers, trademarks, abbreviations, consistent translation of segments and more. Beyond human translation services, website localization service providers can also provide you with machine translation services (MT). With a significant amount of content, MT with a human post editor can be a more affordable option to start the localization process for languages that are not in your priority one language group. Machine translation services are not to be confused with the free tools like Google Translate or CAT tools. Unlike the free online translation tools that anybody can access, machine translation from localization services providers has a prebuilt corpus of translations specific to your company. It also uses statistical techniques to improve upon the accuracy of its translations in the target languages. In addition, most machine translation services offered also include a human post editor. 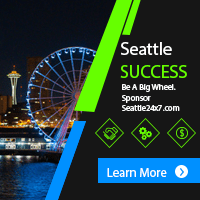 Seattle24x7: “Digital Transformation” was the theme of this year’s Localization World conference in Seattle. Technology has a language all its own and converges around standards. Tech seems both transcendent and a challenge for Localization. Donna Parrish, (publisher, MultiLingual and co-organizer of LocWorld): The localization industry is maturing. There is a strong effort underway to standardize how we do our business. One of those standards is the Translation API Class and Cases (TAPICC) initiative, a collaborative, community-driven, open-source project to advance API standards for multilingual content delivery and XLIFF. There is also the Okapi Framework (http://okapiframework.org/) a cross-platform and free open-source set of components and applications that offer extensive support for localizing and translating documentation and software. All of this “coming together” is in order that we as an industry can better deliver localized content for the growing demand for information in multiple languages. Seattle24x7: In this year’s keynote at Seattle’s LocWorld, the critical subject of communicating with displaced refugees was addressed. 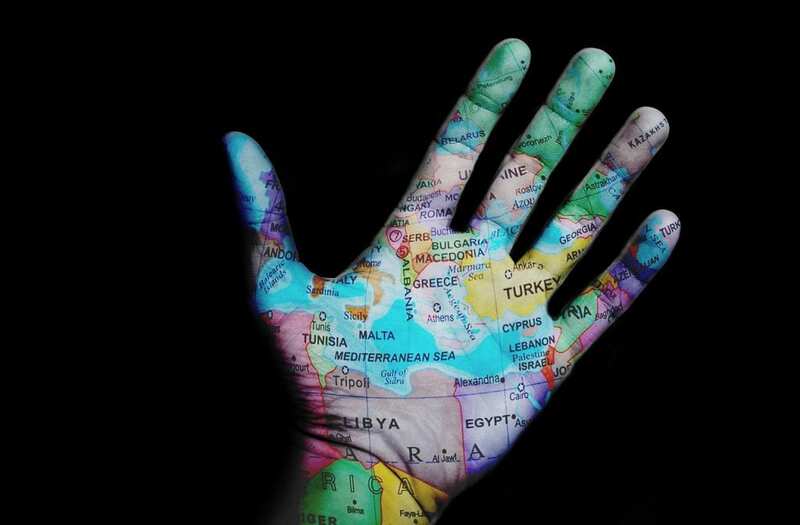 Can you recap the role of technology and localization in these global crises? Donna: A prime example is the mission being accomplished by Translators without Borders, a nonprofit that was actually organized at the 2010 LocWorld in Seattle. Refugees who arrive at camps often understand only their dialect or language, and it is not often the language that aid workers are comfortable using. Quite often the refugees are illiterate, so printed material is useless. Add to that the fact that (as in the case of the Rohingya tragedy) the languages used are fraught with political undertones. Using the wrong language could actually be fatal. Translators without Borders localizes content by confirming the languages needed for specific people. They have developed an online multilingual text and audio glossary app to help spread localized information. In Europe, Translators without Borders’ Rapid Response Teams in Arabic, Farsi, Greek, Kurdish, and Urdu have provided over 800,000 words of immediate, high-quality translations in multi-media formats, to aid organizations responding along the refugee route. By working with partners, they estimate to have reached 100,000 people with content related to protection, asylum procedures, and basic services. Seattle24x7: One of the sessions in Seattle was, Delivering Business Value through AI, from rules-based, to statistical, to neural machine translation. What improvements in AI can we expect in the near future and how will they change the way companies structure their localization strategies? Arle Lommel, (senior analyst at market research firm CSA Research): There have been several major improvements in AI with implications for translation. In 2015, neural machine translation was on the horizon, but it was a distant horizon. By 2016 it was possible to build engines, but it took weeks to generate engines. Now we are to the point where companies can build engines in hours with sufficient resources. We want to get to the point where we can build engines on commodity-class hardware. This will enable generalist services (such as Google and Amazon Translate) to increasingly offer specialist results and compete in niche markets at well. We will see MT gradually expand into fields where it has so far not succeeded. As machine translation takes on more of the routine work, human linguistic experts will be able to focus on areas where their expertise is necessary and adds value. Much as the advent of computerized stock transactions led to the conversion of stock brokers to wealth managers, translators will assume a more strategic role in helping companies take their products to global markets, adding their market expertise and understanding of cultural and technical issues. Seattle24x7: How are Localization “Bots” being integrated into group conversations to initiate actions and help streamline translation processes from the development world to the translation world? 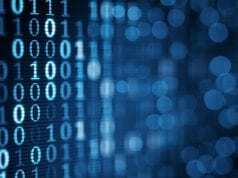 Gary Lefman (Chartered Engineer | Computer Scientist | Globalization Specialist): Gone are the days where translation jobs are multiple pages of documentation that needed to be digitized and translated. Our present world of instant feedback and always-on resources requires that we employ a fully-connected and automated process where the content is sent for translation in continuous, small chunks. The translated content is continually merged back, facilitating continuous deployment and release, an agile approach. We call this process “continuous localization” and it is already in place with multiple technologies. Chatbots operate in web applications and in collaboration tools like Webex Teams, Slack, and Microsoft Teams. An autonomous chatbot has two functions in continuous localization. It acts upon structured requests sent to it, and it sends notifications back. Collaboration group members type instructions into the chat field. These instructions often have simple syntax that is recognized by a script operating behind a chatbot. Seattle24x7: How are search engines doing in making multi-lingual content discoverable? Sabina Jasinska (Global Marketing and Communications Director, SDL, formerly Donnelley Language Solutions): Content that lives on the web needs to rank highly in search engines. Even localized app content is now indexed and discoverable through searches. Mobile searches are growing year on year and voice searches are increasingly relevant. Content for translation needs to be adapted in a way that captures the multi-layered cultural nuances in each market, so app and web content localization is more important than ever for our industry. Seattle24x7:Are we approaching the age of universal translation being available in devices? Jasinska: Offering real-time content translation, Google’s new headphones are blazing a trail for publicly available automated interpreting solutions. The technology is taking us closer to a future in which machine translation combined with text-to-speech technology meets the needs of clients looking for ‘good enough’ interpreting solutions. The coming year will undoubtedly see further investment and development in this arena. Seattle24x7: The present-day political climate is bordering on the xenophobic. A populist national sentiment dubbed “America First,” seems particularly isolationist and anti-globalist. Have efforts at Localization been hampered in the current political climate? How do you contend with this ethnocentrism? Allison Ferch, GALA: We feel like our industry is the antidote to hyper-nationalism and isolationism. What we do is meant to connect people across languages and cultures. Our work is an antidote to the closing of borders. Politics is not a predicate, per se. Special Reader Offer: MultiLingual invites Seattle24x7 readers to experience the authoritative industry magazine online with a one-year, complimentary digital subscription. Click here to sign up and click on our Facebook Like button above for your free access.